Boulder City High School senior girls volleyball player Maggie Roe was named a first-team all-state selection after guiding the Lady Eagles to their first 3A state championship since 1989. File Volleyball player Maggie Roe, a senior at Boulder City High School, was recently named the lone 3A representative on the all-state first team. 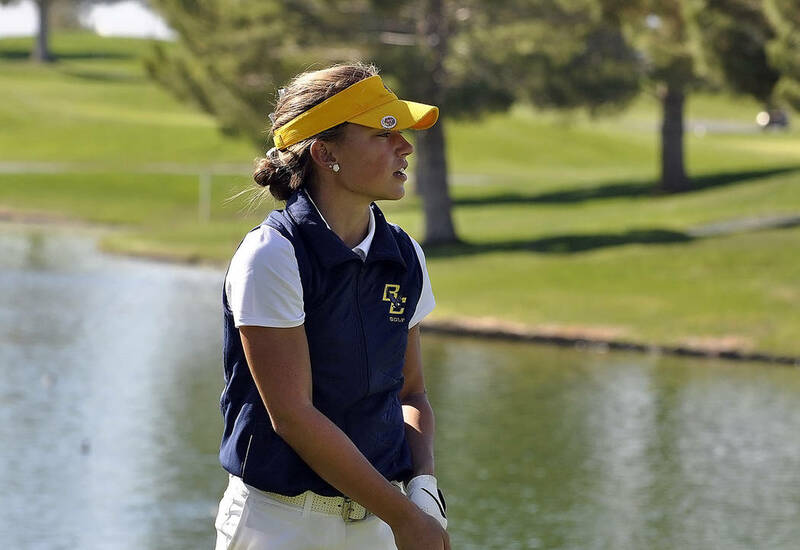 File After winning her second individual state golf title, Boulder City High School senior Lani Potter capped her year as a member of the all-state first team. One of 10 first-team selections, Roe was the lone 3A representative to earn a spot on either the first or second team. Three 3A players earned all-state honorable mention, including Lady Eagles freshman Kamry Bailey. Roe was named the 3A All-State Most Valuable Player and Co-Player of the Year for the All-Sunrise League team. 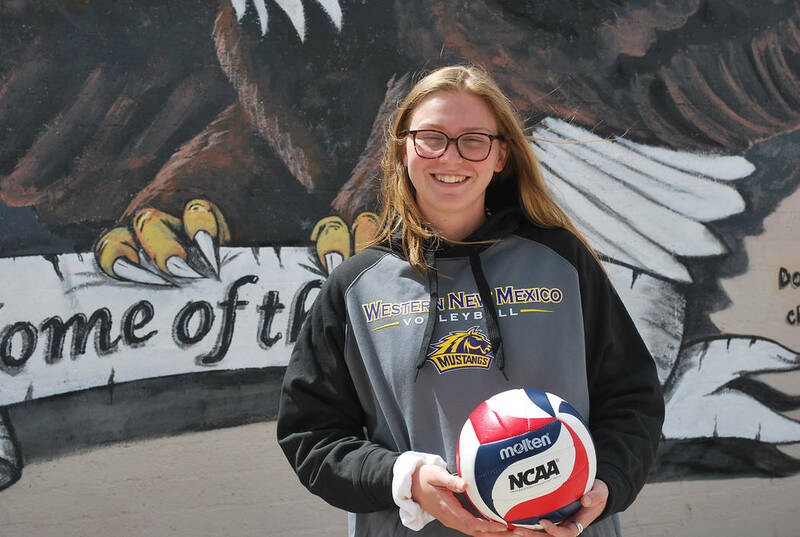 Dominating as an all-around threat, the Western New Mexico commit led the Lady Eagles in kills (494), digs (276), aces (139) and blocked shots (77). Roe finished second on the team in assists with 273. Tallying 350 kills and 276 digs, Bailey served as the perfect complement to Roe. Boulder City High School senior golfer Lani Potter was named a first-team all-state selection. Potter was one of eight first-team selections and the lone 3A Southern representative to earn a nomination. Two 3A Northern golfers earned all-state honorable mention. Potter won all eight matches this season, including the 3A individual state title Oct. 19, winning by eight strokes at Mountain Falls. She also helped her teammates win their first 3A state championship since 2010. Potter will be attending South Dakota State University next fall on a golf scholarship. Thursday, Dec. 28, Paloma Valley (California) at Paloma Valley Winter Shootout, 6:30 p.m.
Friday, Dec. 29, San Jacinto (California) at Paloma Valley Winter Shootout, 3:30 p.m.
Thursday, Dec. 28, Dixie (Utah) at Gator Winter Classic at Green Valley, 10:30 a.m.
Friday, Dec. 29, unknown opponent at Gator Winter Classic at Green Valley, 9 a.m.
Saturday, Dec. 30, unknown opponent at Gator Winter Classic at Green Valley, 9 a.m.